Little, Brown and Company, 9780316235655, 288pp. Kate is torn between the glamorous world of Chez Ninon and her traditional Manhattan neighborhood. Finding balance is not easy in a time when women are still expected to follow the rules. And when you're in love, it's impossible. Kelby's luxurious narrative gives fascinating insight into the real story behind the iconic pink suit, introducing the reader to the wildly unforgettable characters that made Jackie Kennedy into the fashion icon of the century. Nicole Mary Kelby is the critically acclaimed author of White Truffles in Winter, In the Company of Angels, Whale Season, and the Florida Book Award winner A Travel Guide for Reckless Hearts, among other works. She lives in St. Paul, Minnesota. 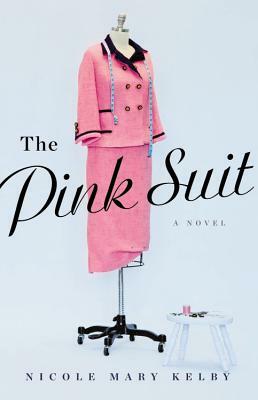 "Beautifully written and engrossing, The Pink Suit gives us an extraordinary alternative reality, transforming JFK and Jackie's romance into the unforgettable love story of a seamstress and a butcher. Kate and Patrick are wonderful creations, and the evocation of the early 1960s is moving and convincing. Kelby spins a compelling tale of one of the most iconic garments ever sewn, and makes it entirely her own." "The Pink Suit is a wonderfully absorbing and richly textured novel, strikingly rendered with a keen eye for the details of art and fashion and an equally acute ear for the workings of the human heart. Kelby captures perfectly the yearnings, disappointment and aspirations of an unforgettable heroine against the backdrop of a national tragedy." "One of history's most tragic and iconic outfits has long had its own strange and compelling story. Now, at last, that story has been told-and beautifully."